Smartwatches never really lived up to analyst’s expectations. 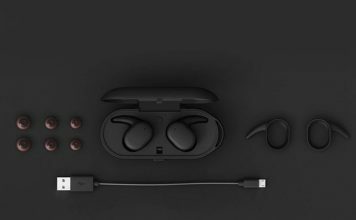 Many predicted they would be the next major growth market as devices like laptops and tablets lost ground. When the first generation smartwatches were released a couple of years ago, we were left unimpressed with the offerings. Many tech manufacturers jumped head first into the watch industry thinking they could replicate the look and feel of the timeless accessory. As we can look back at history, we realize that part of the failure of the smartwatch industry was the lack of attention to design. No one really wanted devices that looked like mini personal computers on their wrists. The trade offs for minimal features simply wasn’t worth the aesthetic downgrade or cost. Luckily for those of us who love watches, we have several true watch makers who are joining the mix. The watch I’ve been wearing for almost a month now is the Nixon Mission Android Wear. 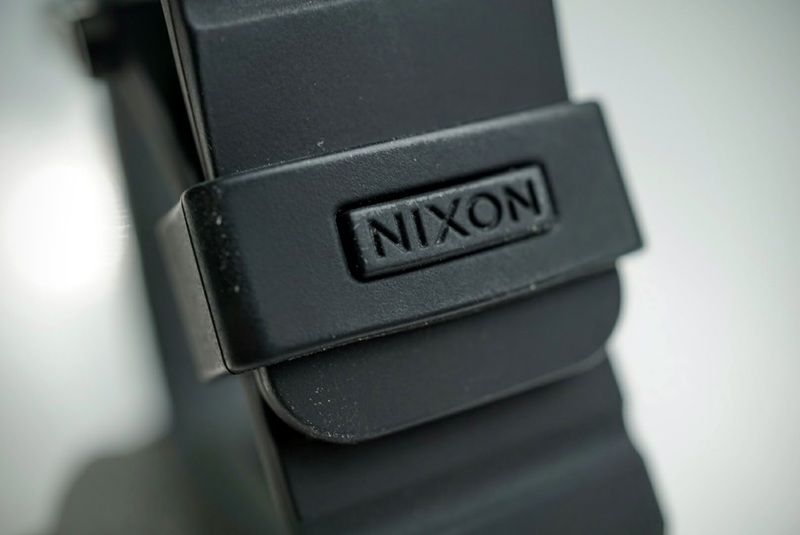 I’ve lived in San Diego half of my life and know Nixon as a surfer’s watch maker. 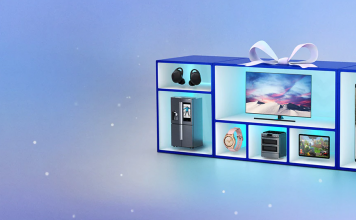 It’s an ultra popular brand here, especially with its headquarters in Encinitas, which is located in north county San Diego. It has drawn success from making functional and fashion forward watches for almost 20 years. 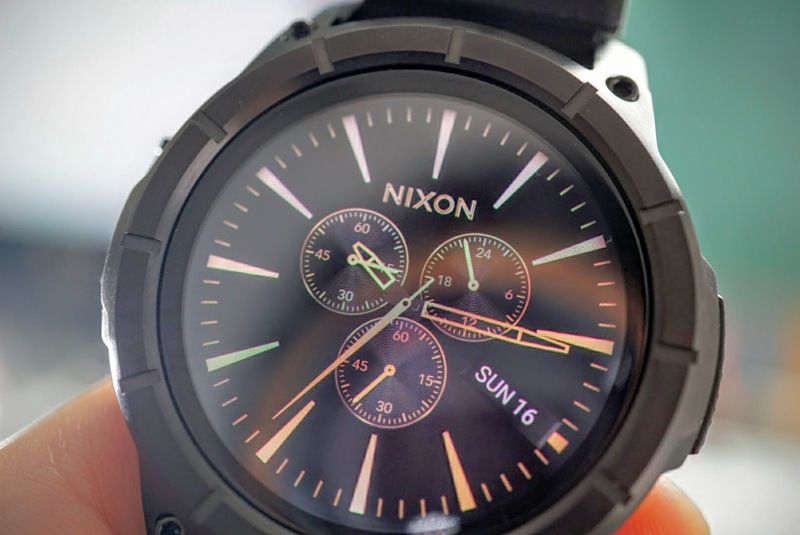 Its first Android Wear device is nothing short of Nixon designed. You’d never know it was a smartwatch until you turned the display on. Make no mistake, this is a watch first. It’s also a big watch. The 400×400 AMOLED display measures 48mm across, with a total crown diameter of 50mm. It measures at 16mm thick which might not be suitable for everyone. I usually wear watches with a 44mm crown, but after 30 minutes of wearing the Mission, I stopped noticing the large size of the watch. It’s surprisingly comfortable. With that size you get true water resistance. Not the measly type of water resistance that you can drop in a toilet, or possibly wear it in the shower. 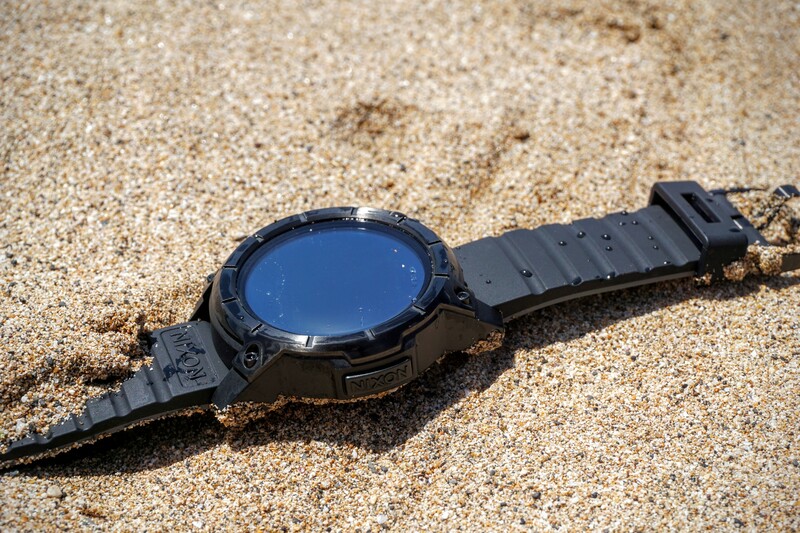 The Mission is capable of maintaining water resistance down to 100m which means it qualifies as a real dive watch. For residents of San Diego, we would probably use it surfing and that is what Nixon’s purpose of the Mission was designed for. It has an app unique to the Mission, that keeps track of the tide information in the area you choose or based on your location services. I wore the Nixon Mission on my week long trip to Maui and wear it everyday in San Diego where the water is apart of our lifestyle. It survived several surf mornings in Maui where the waves rolled me over on more incidents that I would have liked. Even in the image above, you can see the salt crystals which are nearly impossible to wipe off. My dog and I visit the beach every single weekend in Del Mar. She loves to swim and play fetch in the cold ocean water with me. Not once did I ever fear that the watch would fail to the water as I own several Nixon watches that have kept up with my active lifestyle. Being a watch first, and one designed for active people, Nixon included its patented interlocking band to keep it secure to your wrist. It might seem like a little feature, but it’s a real necessity for surfers. Residents of Southern California love to take advantage of the wide range of climate in our region. Just two hours away, at Big Bear Lake, we can go skiing or snowboarding in the mountains. The Nixon app also keeps track of the snow pack and weather conditions for those who love to surf on the snow. What I love about the Mission is Nixon’s commitment to staying true to its customers. It didn’t try to create a smartwatch to compete with all watches, instead it created a purposeful watch that looks incredible while supporting the active lifestyle. Inside of the surgical grade stainless steel case, is where you will find the standard internals commonly found in Android Wear. 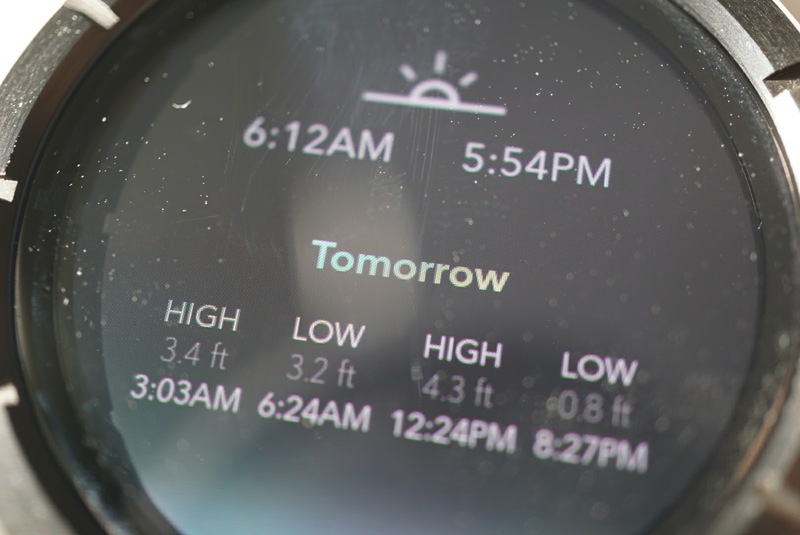 For those of you who are familiar with Android Wear, the Nixon Mission offers nothing really different in the software other than device specific watch faces and the Mission app which keeps track of surf and ski conditions. The Nixon watch faces are very much in fashion of its analog watches and looks damn good on the full display AMOLED display. 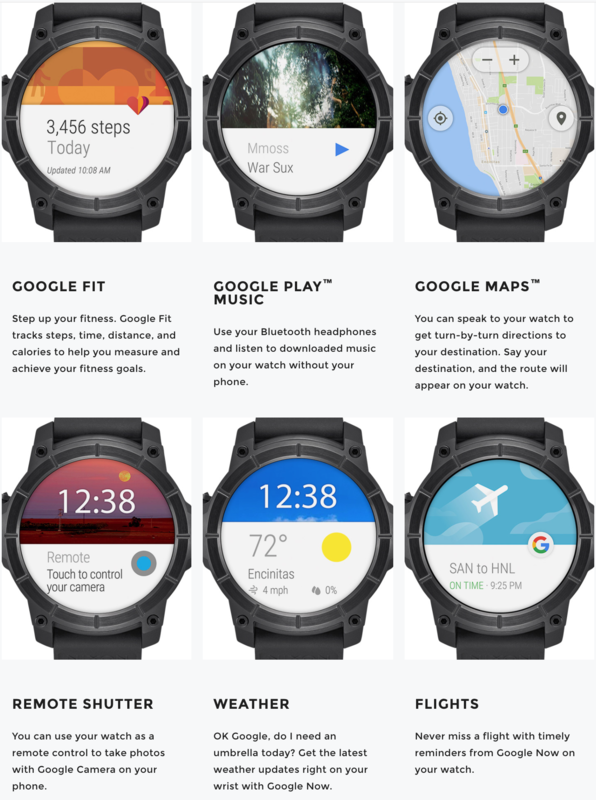 For those of you who don’t know Android Wear, it can perform functions such as provide notifications, keep track of emails and texts, take phone calls, provide map location, control music or store music for true wireless freedom, check the weather, keep track of your daily activities, and of course give you the time. Battery life was on par with other smartwatches I’ve used recently. It gets roughly 24-36 hours of usage away from a charger. If you use it for music or maps, expect that life to drop to 12-18 hours. Charging the Nixon Mission was very easy with the magnetic cable. 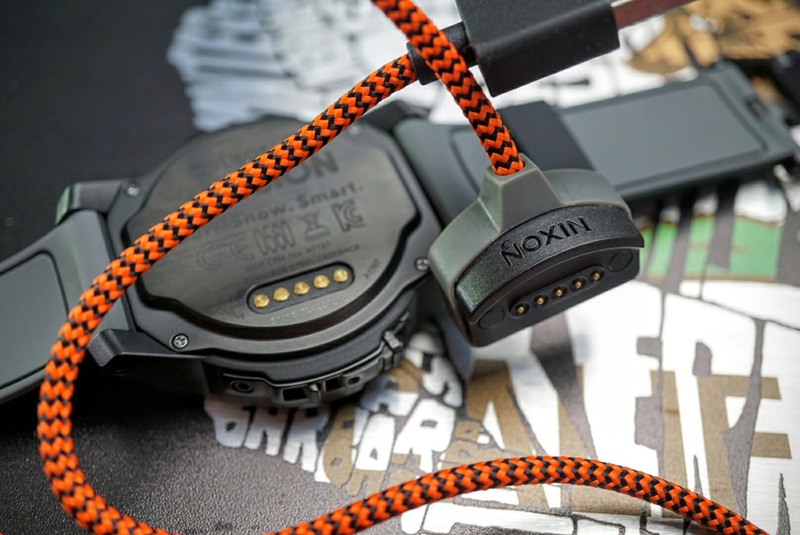 In true Nixon fashion, it even braided the charging cable in black and orange nylon that helps it stand out. The Snapdragon 2100 processor also charges faster than the previous generation. We are fortunate on the Google side of the fence where we have dozens of options to choose from when it comes to Android Wear. We aren’t stuck with a rectangular shaped watch like iOS consumers are, and we have real watch makers like Tag Heuer and Nixon in the mix. The Nixon Mission Android Wear is fairly priced at $399 and comes in three standard colors: Black, Grey, and Orange. 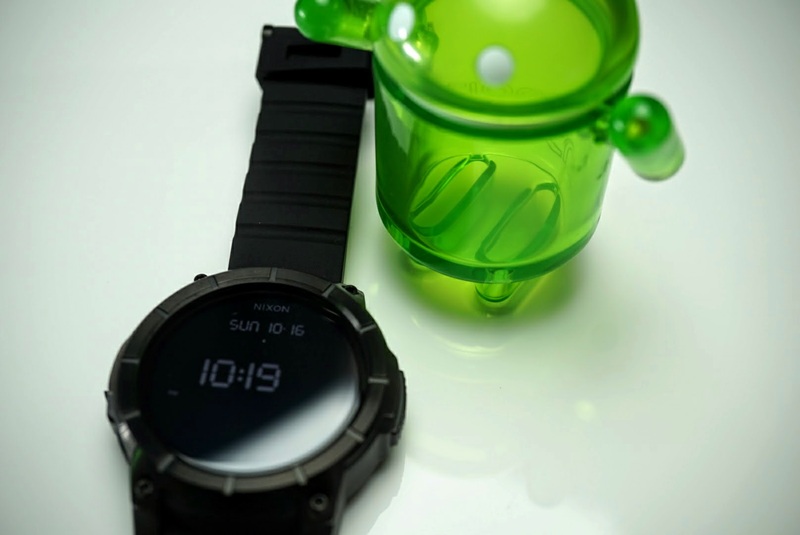 It’s a real watch first that includes Android Wear to make it better than traditional offerings. Performance is nothing short of flawless, as I have yet to experience a slow down or glitch in three weeks of daily usage. 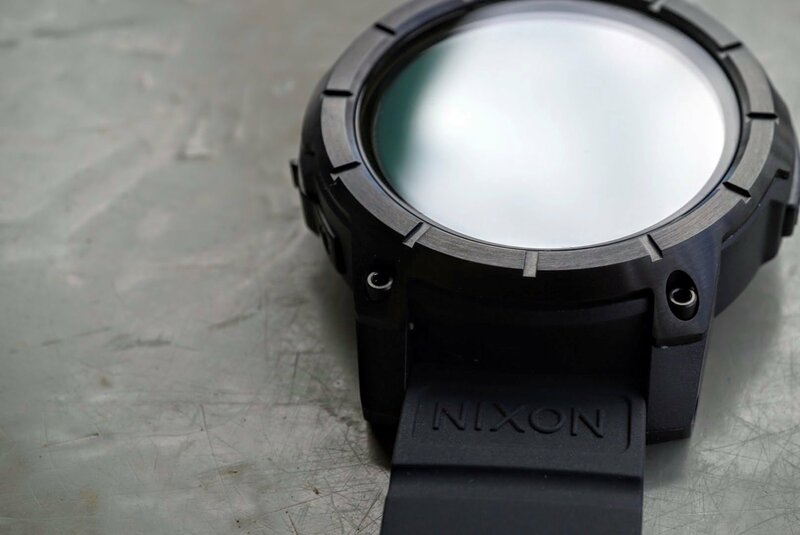 The Mission can also be custom designed to your liking at Nixon.com where you can select different bezels, cases, and watch bands. 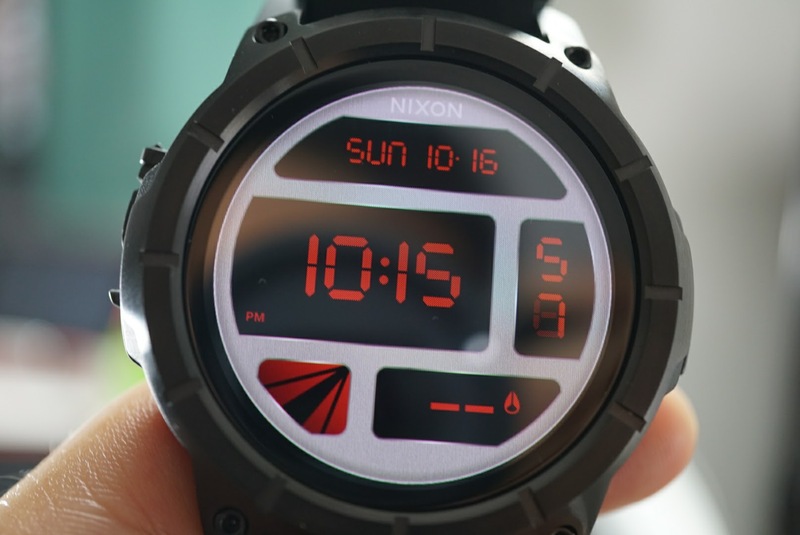 Nixon proved that smartwatches don’t have to look like personal wrist computers. They can withstand the high fashion of Southern California while resisting snow and salt water with the best of them. 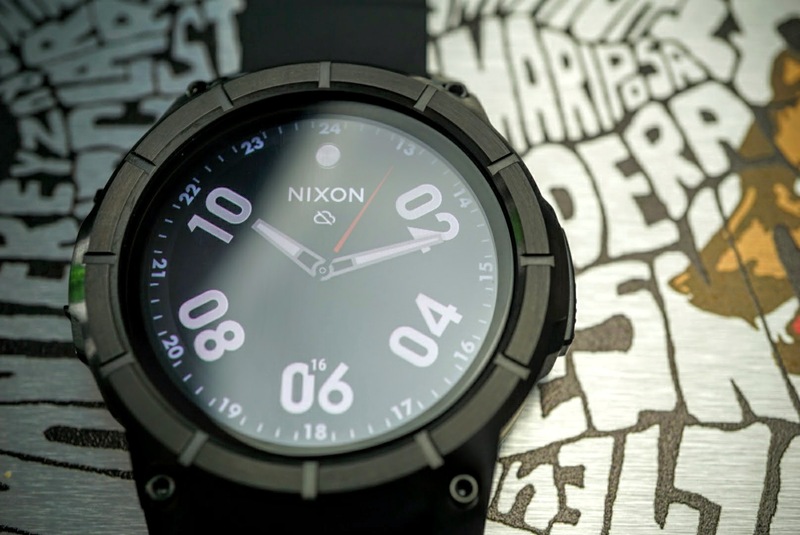 Check out the Nixon Mission at Nixon, Amazon, Best Buy and Google. If you would like to see more photos of the Nixon Mission, check out this Google Photos Gallery. 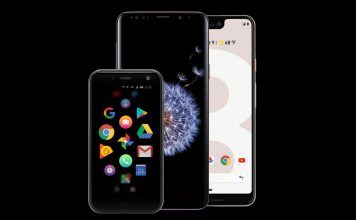 Verizon Black Friday: $400 off Pixel 3, Galaxy 9, and more!